Primary care clinics experienced a significant decline in influenza vaccinations as the day progressed, researchers from Penn Medicine report in a new study published in JAMA Open Network. However, "nudging" clinical staff to order vaccines using a behavioral economics technique known as "active choice" may help curb some of that drop off, the study suggests. The study is the first to show how clinic appointment times can influence influenza vaccination rates. "As the day progresses, clinicians may have less time to spend on discussing the vaccine with patients," said lead author Rebecca Kim, MD, MPH, a resident physician in the primary care track at Penn Medicine. "Our findings show that time of day is an important factor in vaccination rates and could help to inform the design of future interventions to improve vaccination rates." Researchers found that vaccination rates dropped significantly throughout the day across 11 primary care clinics part of the University of Pennsylvania Health System over a three-year period (2014—2017) - from 44 percent at 8 a.m. to 32 percent at 4 p.m. In the third year, the team implemented a nudge in the electronic health record (EHR) at three of the clinics, which prompted medical assistants to "accept" or "decline" an influenza vaccination order for eligible patients for the clinicians to review. 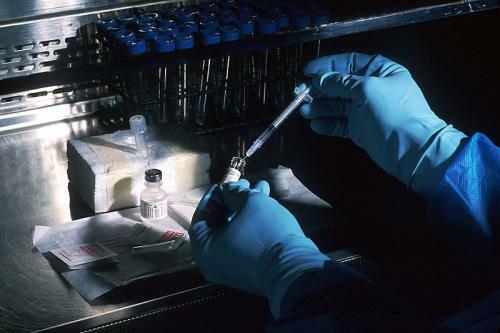 They found the intervention was associated with a 9.5 percent increase in vaccinations, which is nearly a 20 percent relative increase compared to practices with no intervention. "In the United States, influenza vaccination rates have been suboptimal at about 40 percent for nearly a decade," said study senior author Mitesh S. Patel, MD, MBA, an assistant professor of Medicine and director of the Penn Medicine Nudge Unit. "Our study indicates that nudges in the EHR could be an effective and scalable approach to increase vaccination in the primary care setting." While rates did improve with the nudge in place, they still declined as the day progressed, suggesting further strategies may be needed to address the variations in care by time of day, the authors said. The research builds off a 2017 study from the same team that found implementing a "nudge" in the EHR was associated with a six percent increase in flu vaccinations for one practice compared to practices with no intervention. The researchers not only included more practices in the latest study, but also directed the nudge alert to only medical assistants, rather than to physicians, to eliminate any redundancy—which may have helped improve the vaccination rates, the authors said. "Importantly, this intervention was directed to staff, not clinicians," Patel said. "At a time when physicians are often overburdened with alerts and facing burn out, these types of well-designed nudges can address these issues while improving patient care," Patel said. Next, the researchers aim to expand the "nudge" intervention across more primary care practices within the health system to further study and improve upon the approach. If these types of interventions were implemented in all 36 primary care practices, for example, in Philadelphia and the suburbs, the researchers estimate that 5,000 more patients would be vaccinated in a year. The concept of "nudging" comes from the field of behavioral economics and is about intervening—often in small, subtle ways—to improve decision-making and ultimately patient care. Patel and colleagues from the Penn Medicine Nudge Unit in prior research have shown the value of nudge strategies in a wide range of areas, including opioid prescribing behavior, cancer screening, and more recently with cholesterol-lowering statins.